NADRA, 2016 Main Event – Huge Success! 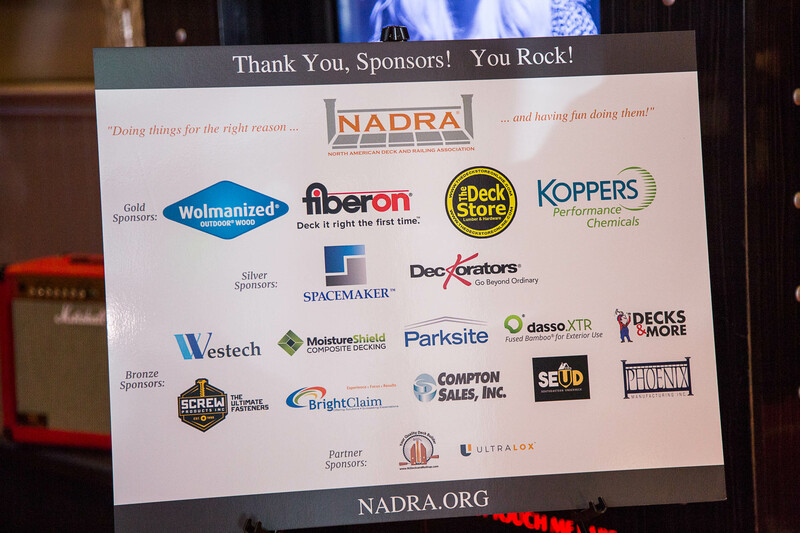 NADRA hosted their Annual Awards Dinner & Sixth Annual National Deck Competition at The Hard Rock Café on Thursday, October 6th, 2016. Attendees included NADRA members and guests, NADRA’s National Board of Directors, Deck Competition Participants, spouses and crews, as well as, NADRA Sponsors. Thank you Gold Sponsors: Wolmanized Outdoor Wood, Fiberon, The Deck Store, and Koppers Performance Chemicals, Silver Sponsors: Spacemaker & Deckorators, Bronze Sponsors: Westech, MoistureShield, Parksite, Dasso. 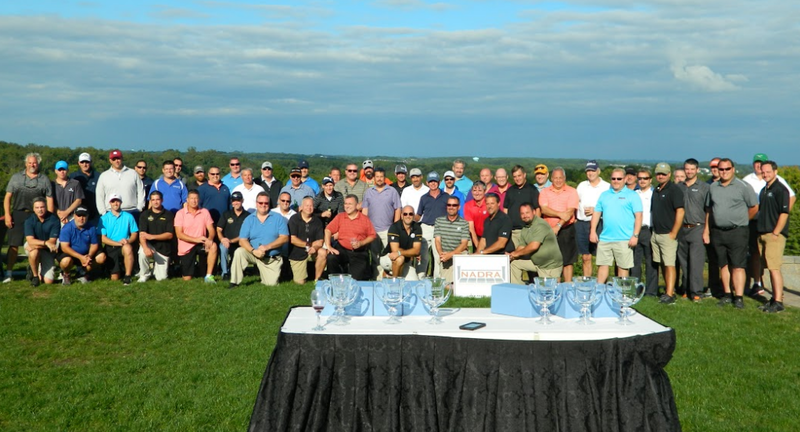 XTR, Decks & More, Screw Products, Inc. , BrightClaim, Compton Sales, South Eastern Underdeck, Phoenix Manufacturing, Inc., and Partner Sponsors: Verblaauw & Sons, LLC , and UltraLox; along with many other industry professionals that joined us for the event. Check out the photo album on NADRA’s Facebook page here. The Hard Rock was nearly sold out with over 200 guests. Attendees included NADRA Members from as far away as Ontario, Canada, Western Washington and even Australia! “As always, the NADRA Main Event was the place to be Thursday night! It was wonderful to come together, celebrate some jaw-dropping good work, and see some old friends we’ve been missing. The fact that our party could be heard across the bay was pretty cool, too!” Says NADRA Treasurer, Matt Breyer, Breyer Construction. Kirk Hammond, NADRA’s President opened the awards ceremony for the evening. Michael Beaudry, NADRA’s executive Vice President & Kirk were masters of ceremony for the night. Check out the photo albums on NADRA’s Facebook page here. CONGRATULATIONS TO OUR INDUSTRY’S 2016 NATIONAL AWARD WINNERS! 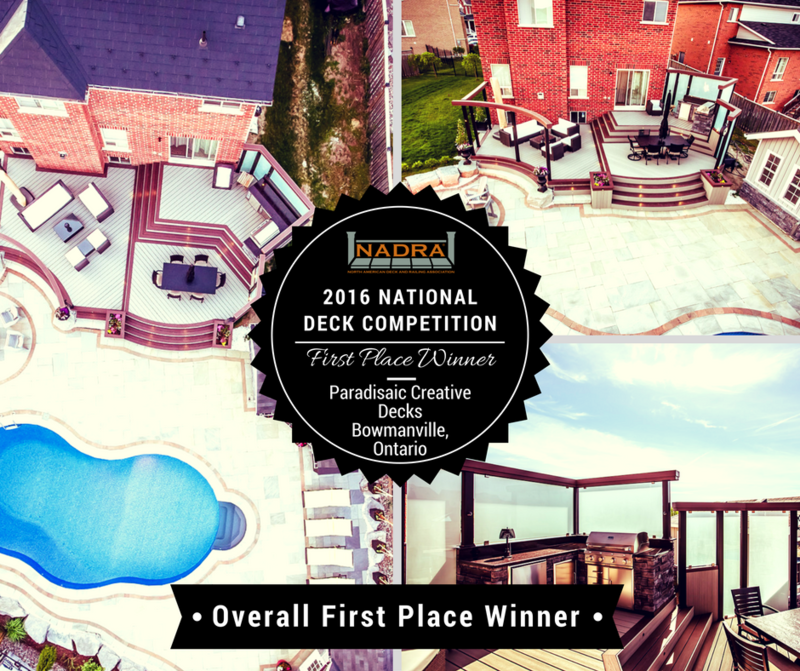 2016 National Deck Competition Winners: See all of the winning projects, on NADRA’s Facebook page here. 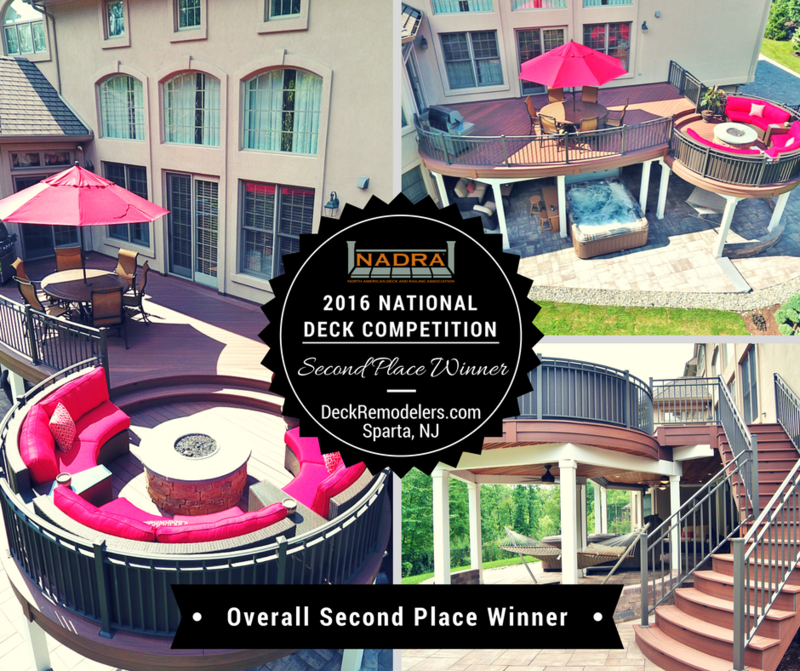 A special thank you to our 2016 National Deck Competition judges. This is a daunting task of scoring hundreds of photos in this years competition. Thank you, thank you, thank you for your time and dedication to the deck competition! The National Deck Competition 3rd place, 2nd place and finally 1st place winners were all announced and presented with awards at The Hard Rock Cafe’s center-stage. Check out the photo albums on NADRA’s Facebook page here. 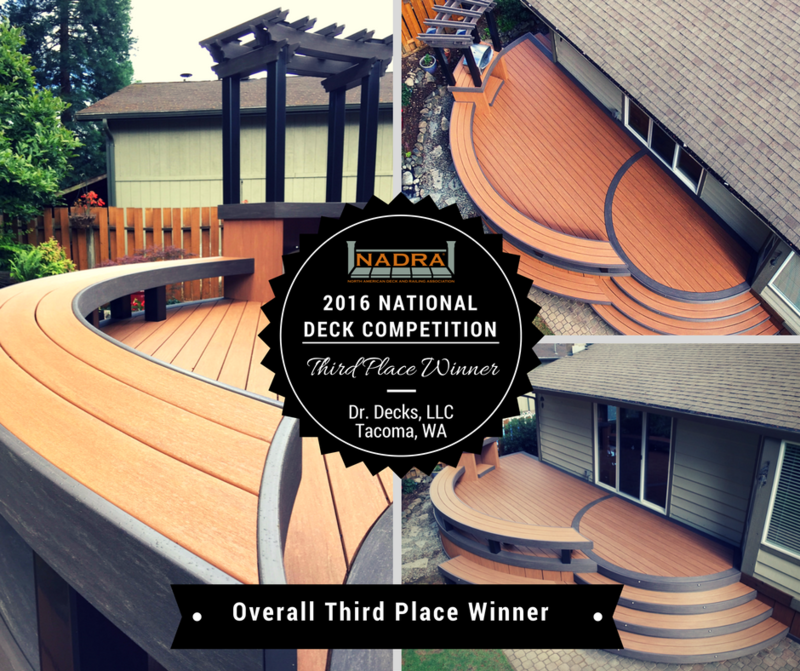 “We are so thrilled and humbled to have won FOUR awards at this year’s Annual NADRA (North American Deck and Railing Association) awards ceremony. Including two First place awards!! Paradisaic took home the top award of the year as well!! FIRST PLACE ~ ‘Best Overall 2016’. We couldn’t have accomplished any of this without the entire young, brilliant team here at Paradisaic that makes every job a work of art and an amazing experience for our incredible clients!” Ben Shelly, Paradisaic Building Group, Inc.